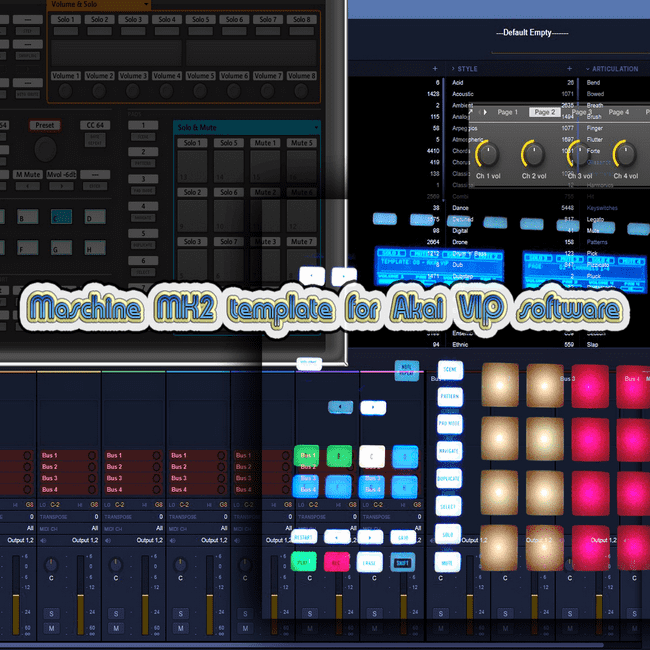 Akai VIP software - Maschine template is package which contains already pre-mapped templates for controlling Akai VIP software either as standalone or as a vst inside Maschine software or a DAW. 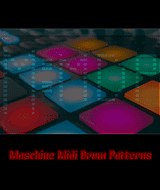 Also are provided Maschine software templates for any other Maschine family controller, detailed manual which can be used as a useful guide for any other midi hardware controller. If you use Maschine software but don't have exact model you can still use groups-sounds templates for clear knob names on hardware and in Maschine software, also more controls available to automate since by default there are only for channel 1 which gets scrambled on hardware/software. This package is free although there is suggested price, if you appreciate our time and effort any amount of donation is welcome. You can also enter "0" in the price field and try first then later come back if/when you decide to donate. 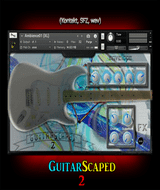 • templates for controlling VIP software when its used inside Maschine software as a vst (clear knob names, more knob pages, routings etc) in format: Maschine instrument/sound/group/project. 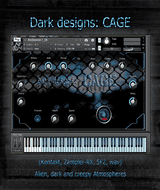 • Manual with all details needed how to use provided templates in Maschine or a Daw. 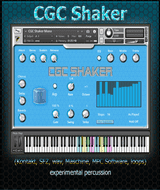 All that info can be used as a guide if you plan to midi map any controller to VIP software. Note for 32 bit: All our tests were on Windows 10 x64 PC. We tried quick test with x32 vst host and loading x32 VIP, it worked the same as for x64. In standalone VIP also without problems. In maschine 32 bit we encountered problems (Maschine crashing even without any vst in a project) so no guaranties it will work (we were unable to test), especially template groups-sounds etc (files created with Maschine software). Knob automation pages (with Maschine in normal mode) probably wont work. All steps needed to make your own templates if you encounter x32 problems are in the included manual.